Floriana FC president Riccardo Gaucci has no intention of quitting his post at the helm of the Premier League club but expressed concern over the procedural issues that are delaying his project to develop the Independence Arena. Reports in Italy that Gaucci had been approached to front a takeover bid for embattled club Catania, now plying their trade in the Lega Pro, set the alarm bells ringing among Floriana fans as the Italian has been widely credited with rescuing the club from financial ruin since taking over the presidency two years ago. Contacted by Times of Malta yesterday, Gaucci said: “My phone hasn’t stopped ringing since these stories linking me with a return to Catania emerged. 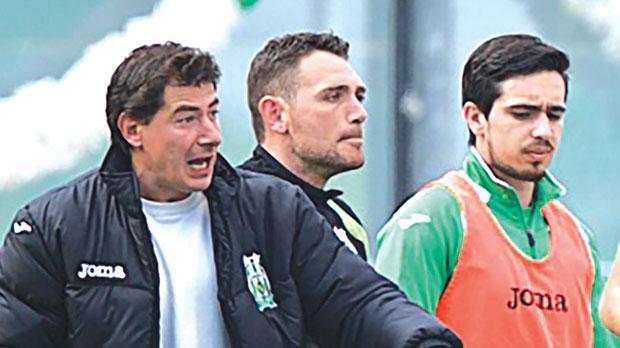 The Floriana FC website also said that Gaucci has dismissed reports about his potential return to a top role with Catania. “This website has made contact with Riccardo Gaucci who told us that, even though Catania will always remain in his heart, he would like to categorically deny these speculations and that he is and will remain president of Floriana FC,” the statement said. It is understood that Gaucci, who was president of Catania between 2000 and 2004, was sounded out by an entrepreneur with a view to assessing the possibility of acquiring the Sicilian outfit but the idea has been shelved due to the club’s current situation. Although Gaucci has no plans to leave Floriana, he made no attempt to conceal his disappointment at the complications surrounding the club’s Independence Arena project. “I’m starting to harbour concerns about the slow progress of our application to develop the Independence Arena,” Gaucci said. “Since I became president of Floriana, we have had three different ministers and every time there is a change we have to start from scratch. “We need a concession from the government to get this project off the ground. “Three years have passed since I started working on this project and I’ve been president of Floriana for the past 24 months. “I’m not blaming anyone because these things happen but we need to get moving. Floriana’s progress under Gaucci is not limited to their financial situation as the team is also doing well in the Premier League. The Greens are in the hunt for a top-four finish as they lie fifth, only three points behind Birkirkara whom they meet in the FA Trophy quarter-finals on April 20. This Sunday, Floriana, led by Belgian coach Luis Oliveira, face champions Hibernians. Meanwhile, Igor Coronado’s positive impact at Serie B club Trapani has helped to raise the profile of Maltese football in Italy. Trapani signed the Brazilian from Floriana on an initial loan deal last summer with an option to buy at the end of the season. Coronado’s emergence as one of the most exciting playmakers in the Serie B means that Trapani are unlikely to pass up the chance of securing his signature on a permanent basis amid reports of interest from Serie A clubs. In an interview with La Gazzetta dello Sport this week, Trapani coach Serse Cosmi spoke in glowing terms about Coronado who has scored seven goals in the Serie B. “You did the thesis at Coverciano on the trequartista (adjunct striker), but you rarely had one. Now there is Coronado,” the journalist asked. “The last one was Morfeo, who I had at Brescia,” Cosmi replied. “The strongest of all was O’Neill, at Perugia: he was equivalent to Zidane. With time, the role has evolved.